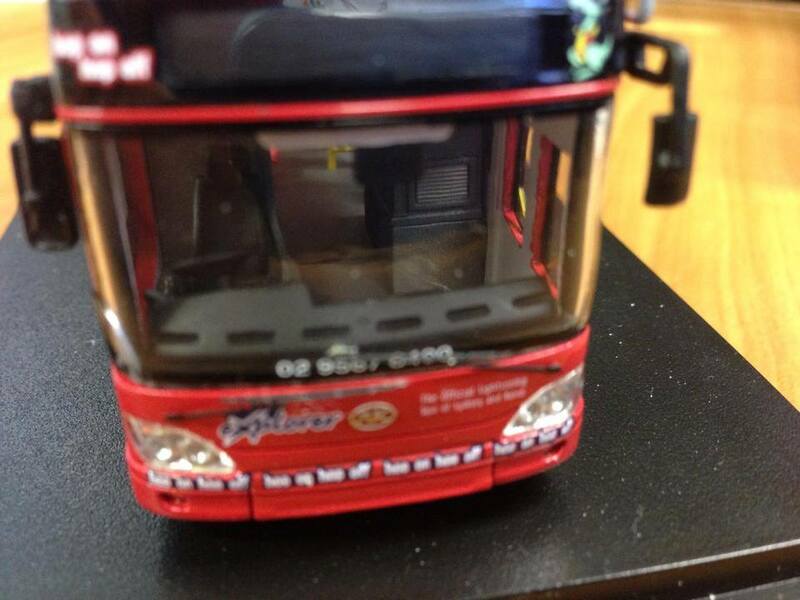 *NOTE THIS PRODUCT IS DAMAGED, RAILING ON ROOF HAS BEEN BENT. SEE FIRST TWO IMAGES FOR CLEAR PICTURE OF DAMAGE. 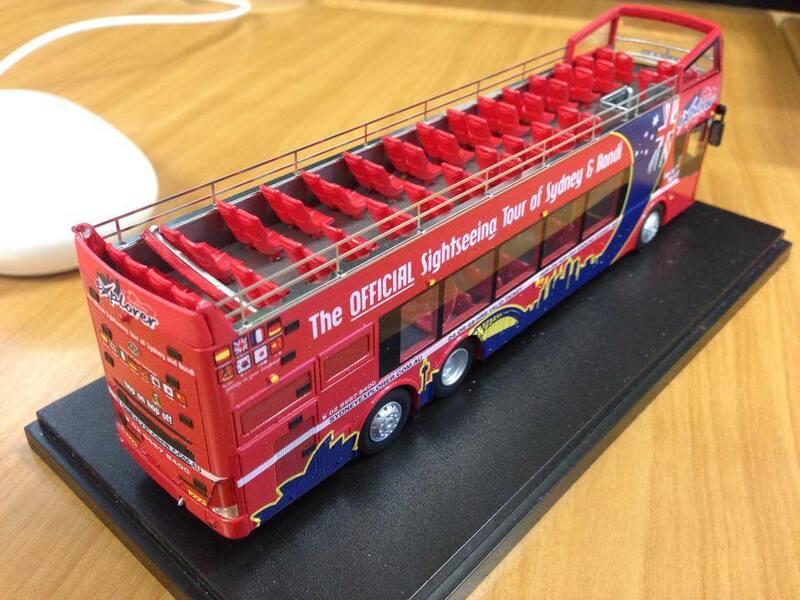 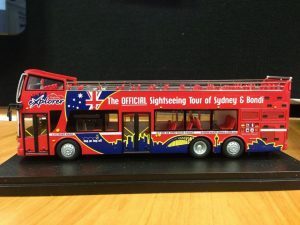 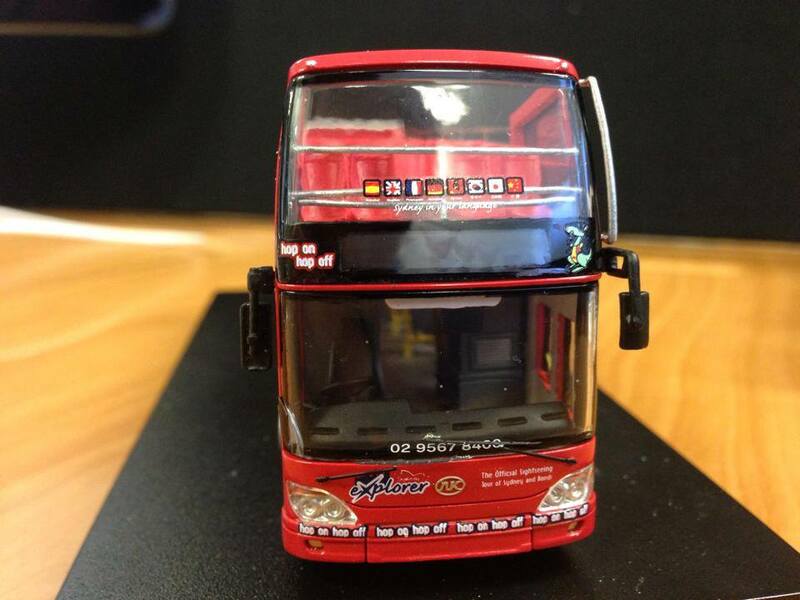 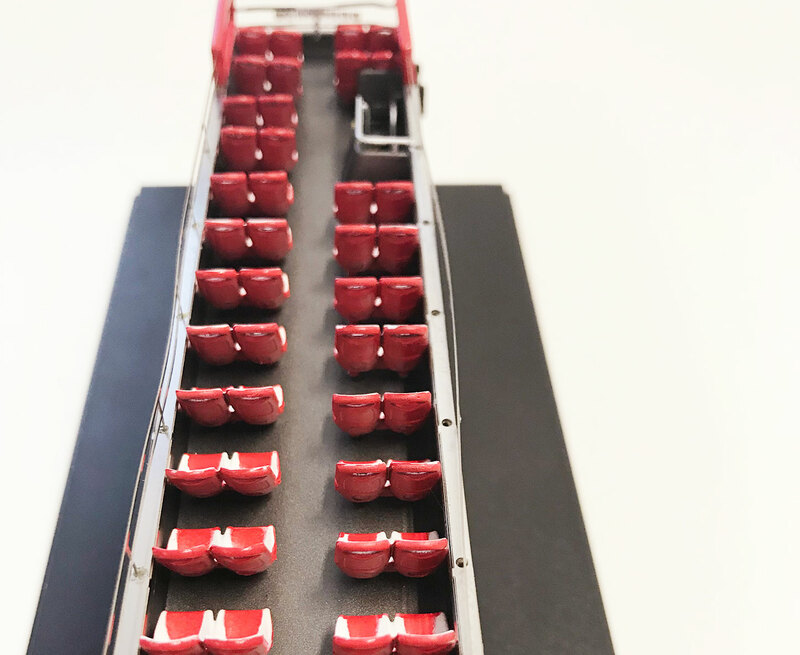 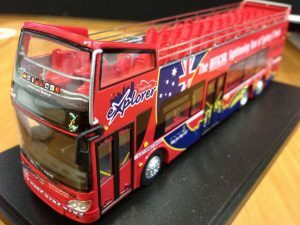 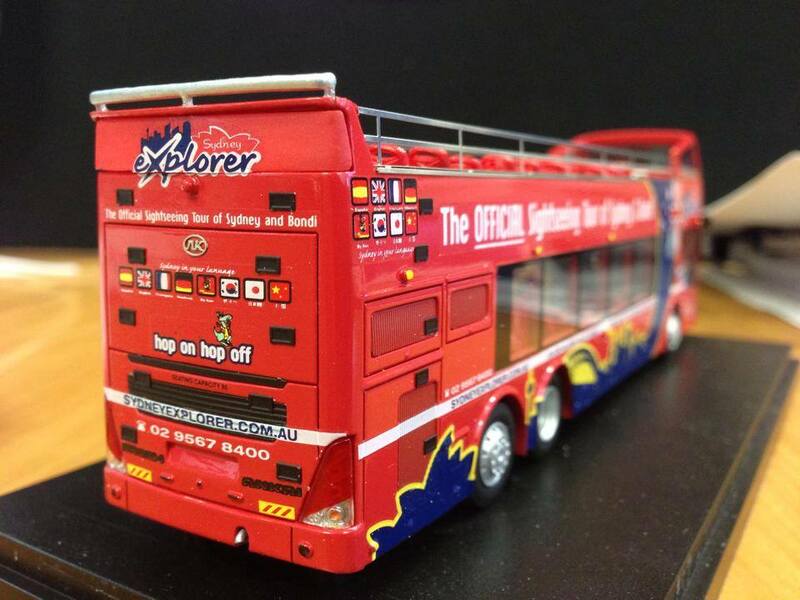 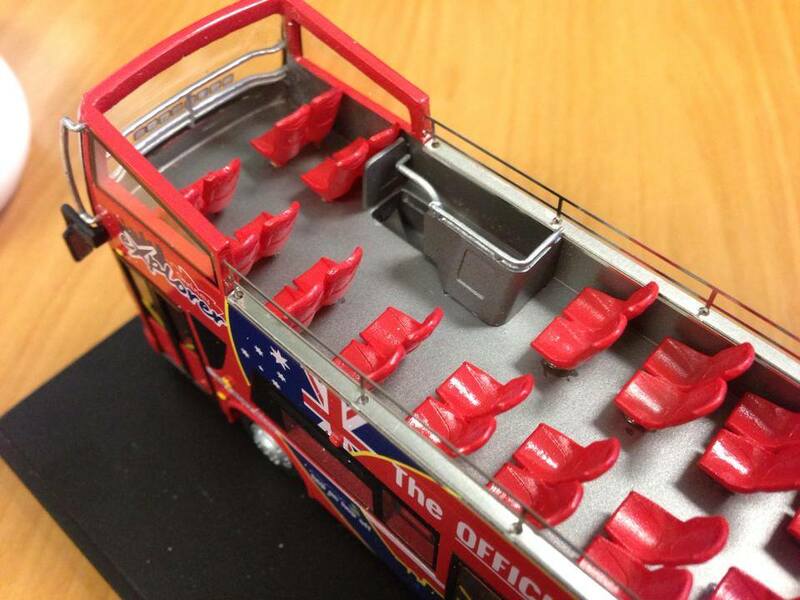 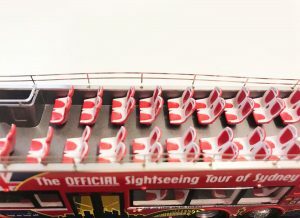 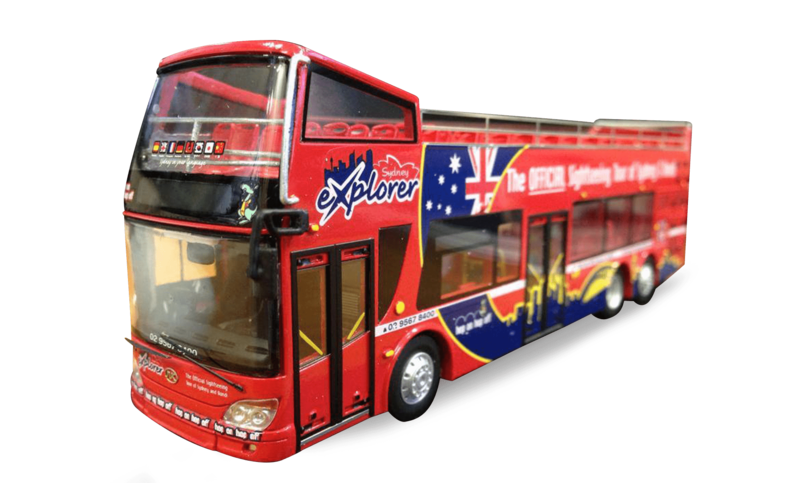 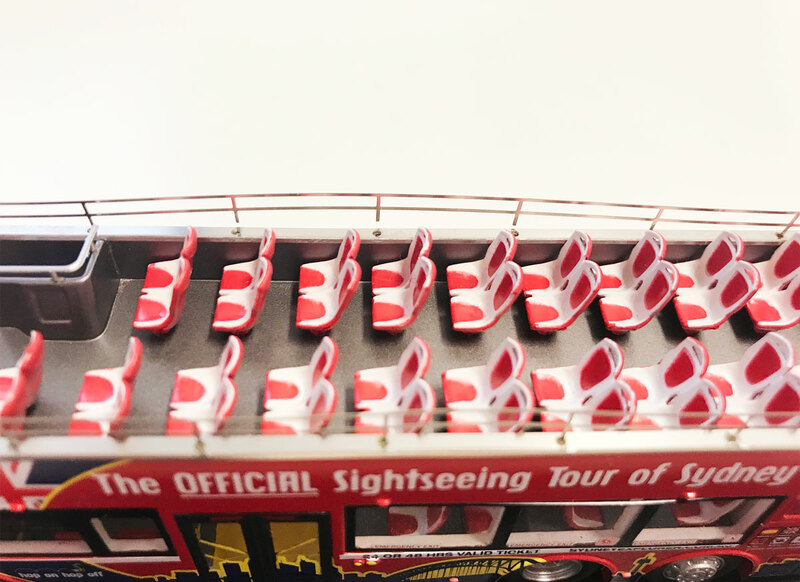 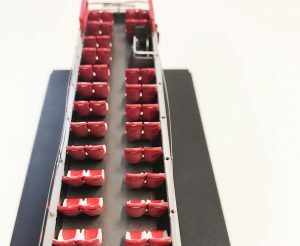 This 1:76 scale bus model depicts an Anhui Ankai HFF6121GS-3 double decker operating for City Sightseeing as the Sydney Explorer. 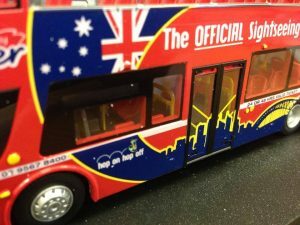 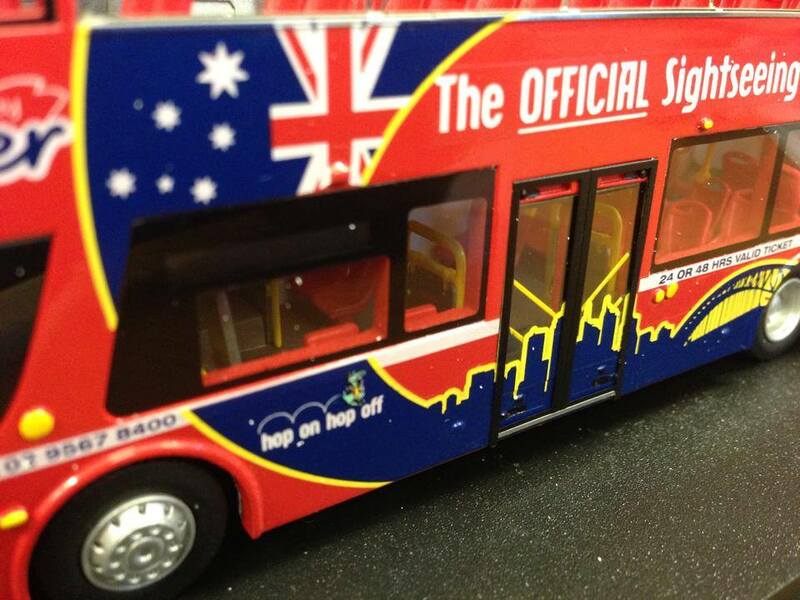 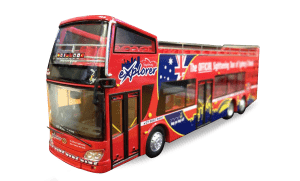 These modern tourist vehicles offer unrivalled views of Sydney’s icons and attractions and are joined by sister operations in the Blue Mountains (New South Wales), Darwin, Canberra and Hobart. 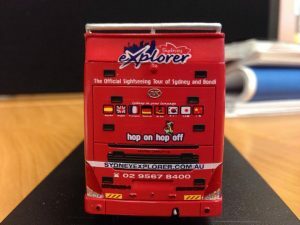 The Hop On Hop Off Sydney Explorer runs two routes every day of the year between 34 popular locations including Circular Quay, Queen Victoria Building, Sydney Opera House, Botanical Gardens, Central Station, Powerhouse Museum, Maritime Museum, Chinatown and Bondi Beach. 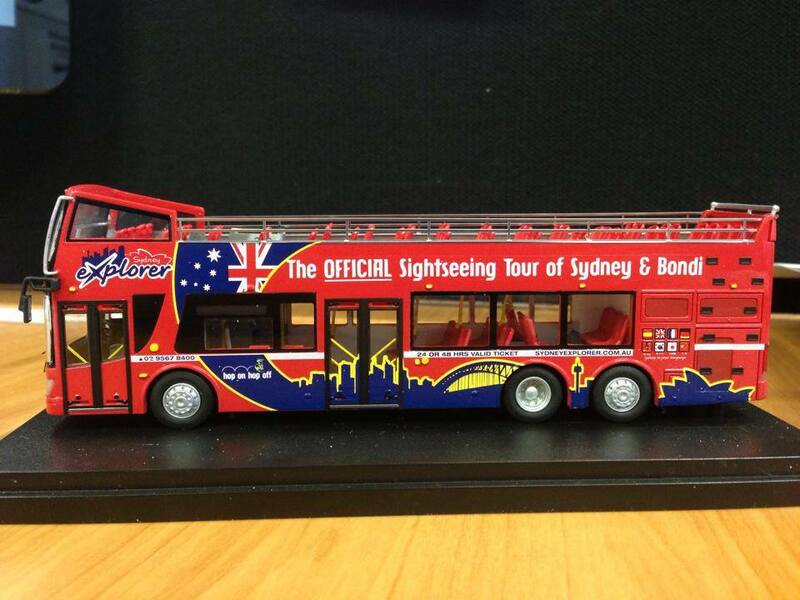 For more information visit sydneyexplorer.com.au.